Workers Compensation in general is insurance purchased by an employer that pays medical benefits and lost wages to workers who were injured or made ill on the job. The Longshore and Harbor Workers’ Compensation Act provides specific benefits to employees who are maritime workers, including most dock workers. The Outer Continental Shelf Lands Act extends the benefits of the Longshore & Harbor Workers’ Compensation Act to certain workers injured or killed on oil rigs & platforms in the ocean. To be covered under the Outer Continental Shelf Lands Act the employee must be working on a fixed structure that is permanently attached to the outer continental shelf for the purpose of natural resource exploration or development. This coverage extends to workers beyond 3 miles from shore. Who Pays a Outer Continental Shelf Lands Workers’ Compensation Claim? While the Outer Continental Shelf Lands Act extends the benefits of the Longshore and Harbor Workers’ Compensation Act to oil rig workers, these claims must be separately insured. In other words, Longshore Act insurance does not provide coverage for OCSLA exposure. If you have a OCSLA claim then you need file it with your employer’s OCSLA insurer – and not just under their general Longshore Workers Comp Insurance. The injured worker must have been engaged in operations conducted on the Outer Continental Shelf for the purpose of exploring, developing, removing or transporting by pipeline the natural resources of the subsoil and seabed of the Outer Continental Shelf. However, it can sometimes get complicated determining eligibility depending upon where the employee is working and what he or she is doing occupationally and at the time of an injury. And while the injury may occur anywhere, there must be what is called a “substantial nexus” between the injury and the employer’s extractive operations on the Outer Continental Shelf. So there is a situs of operations test, but not a situs of injury test. 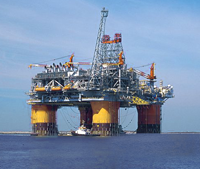 Additionally, if the employee is an oil and gas worker working on a fixed platform in state waters they are covered by state act workers’ compensation. Also, if the employee is working on a vessel, either in state waters or on the Outer Continental Shelf, they may be considered a crewmember and not be covered by Longshore or OCSLA workers’ compensation laws at all. Their remedies may be under the Jones Act, or General Maritime Law, or state liability laws, instead! Do I Need an Attorney for Outer Continental Shelf Workers’ Compensation? If you were injured on or near the Outer Continental Shelf, only an experienced attorney can sort out the wide variety of remedies and benefits for which you may qualify. Remember there are state act workers’ compensation laws, the Longshore Act, the OCSLA, General Maritime Law, The Jones Act, The Death on the High Seas Act, and other “tort” (liability) remedies available under either state law or federal admiralty law. These many laws can be confusing – and it is important that you file your workers compensation or other injury or disability claim with the right agency using the right laws. Filing the wrong type of claim could result in serious delays that could result in your claim missing the deadline for filing and ultimately being dismissed or denied..
Our experienced Workers Comp attorneys have assisted hundreds of clients who were injured or made ill while working on or around the Outer Continental Shelf. We can help you understand your options, file for the right compensation and ensure that you receive the maximum benefits for which you qualify. Call our Los Angeles area law office today for a FREE consultation today with an Outer Continental Shelf Lands Workers’ Compensation attorney. Our experienced Los Angeles Outer Continental Shelf Workers Compensation attorneys will help you understand your benefits and ensure that you receive the maximum compensation for which you qualify. Serving: Alhambra, Altadena, Anaheim, Arcadia, Avalon, Baldwin Park, Bel Air, Bell Gardens, Bellflower, Beverly Hills, Burbank, Calabasas, Canoga Park, Canyon Country, Carson, Castaic, Century City, Cerritos, Chatsworth, City of Industry, Commerce, Compton, Costa Mesa, Culver City, Downey, Duarte, Eagle Rock, East Los Angeles, El Monte, El Segundo, Encino, Gardena, Garden Grove, Glendale, Hawthorne, Hemet, Hermosa Beach, Inglewood, Huntington Beach, Inland Empire, Irwindale, La Canada Flintridge, La Crescenta, La Puente, Laguna Hills, Lakewood, Lancaster, Lawndale, Lomita, Long Beach, Los Angeles County, Lynwood, Malibu, Manhattan Beach, Marina Del Rey, Maywood, Melrose, Fairfax, Mission Hills, Monrovia, Montebello, Monterey Park, Montrose, Newhall, North Hollywood, Northridge, Orange County, Oxnard, Palmdale, Palos Verdes, Paramount, Pasadena, Pico Rivera, Porter Ranch, Rancho Palos Verdes, Rancho Santa Margarita, Redondo Beach, Reseda, Rolling Hills, Rosemead, San Diego, San Fernando Valley, San Gabriel, San Marino, San Pedro, Santa Ana, Santa Clarita, Santa Fe Springs, Santa Monica, Simi Valley, South El Monte, South Gate, South Pasadena, Stevenson Ranch, Studio City, Sylmar, Temple City, Thousand Oaks, Toluca Lake, Topanga, Torrance, Universal City, Valley Glen, Valley Village, Vetura, West Hollywood, West Los Angeles, Westlake Village, Westminster, Westwood, Whittier, Willow Brook, Wilmington & Woodland Hills.